Following the meeting of Michael Rasser and John Isaacs at the legendary 1960s-70s hairdresser Leonard Lewis of Mayfair, where they were working as hair stylists, Michael and John envisioned a salon that provided exceptional services in a relaxed and comfortable environment, resulting in the founding of michaeljohn in 1967. Tailored to ensure that each hairstyle suits his client’s look and lifestyle, Michael soon became known for his dedicated and personal service, attracting celebrities such as Mick Jagger, supermodel Iman, Liza Minelli and Princess Anne. During the early 1990s, michaeljohn relocated to a new, spacious salon on Albemarle Street where michaeljohn Mayfair continues to remain today. Michael was awarded the Royal Victoria Medal in 2001 in recognition of his contribution to hairdressing and his commitment to training the succeeding generation of hair stylists. michaeljohn opened a Beauty & Medispa in Motcomb Street, Belgravia, offering a full range of beauty and medispa treatments using state-of-the-art equipment. In July of the same year, michaeljohn launched its Fine Hair Clinic in its Albemarle Street hair salon. 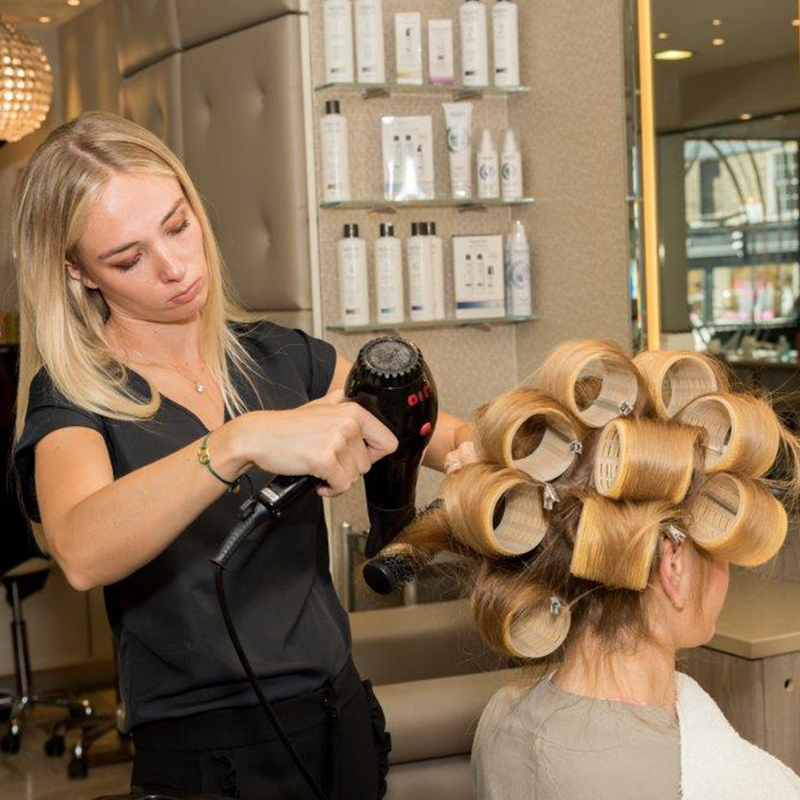 michaeljohn opened its second hair salon on Brompton Road, Knightsbridge.